There is nothing I enjoy more during the warm summer months than attending outdoor concerts. It is a chance to discover new music I would probably not have a chance to get to know otherwise. For instance, I would never have known what South African a capella group Ladysmith Black Mambazo really sounds like sans Paul Simon if I hadn’t caught a free concert they did at New York’s Winter Garden in the summer of 2001, or about how much effort Marisa Monte puts into stage production if I hadn’t seen her at an outdoor show in Fortaleza, Brazil. And then there was Steve Miller Band’s memorable 2006 appearance at the Ravinia Festival. Sure, good seats went for a price, but the rest of us could still enjoy the music from a distance. Outdoor concerts have a spontaneity you cannot find in theaters, clubs or arenas. I recall speaking with jazz pianist Hiromi Uehara, who once told me that the performer can feel the difference between playing in a club and an outdoor venue. For example, the audience reacts differently because in many cases folks at a festival are hearing that artist for the very first time, and that first experience can lead to a whole new musical discovery. 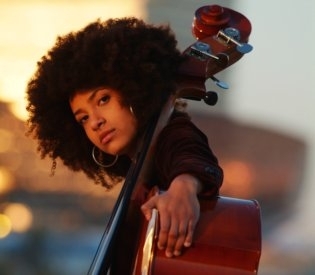 I will never forget watching then-mostly unknown bassist Esperanza Spalding open for Chicago-based Ledisi in Central Park Summerstage in the summer of 2009. She completely stole the show that afternoon and subsequently won herself a whole new following.